This was a NYC advertisement. Initially Baltimore seemed to become the most important harbor for transatlantic shipping and the Baltimore & Ohio Railroad (B&O), founded in 1827, connected that port, first with horses as motive power. 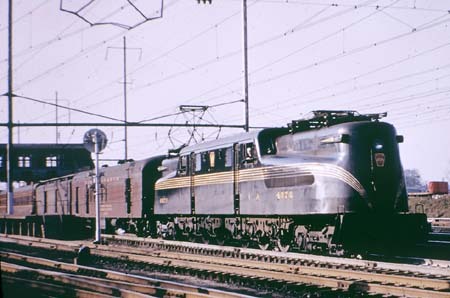 The B&O intended to link the Atlantic with Chicago, but then the New York Central and the Pennsylvania Railroad, the "Pennsy", were victorious. 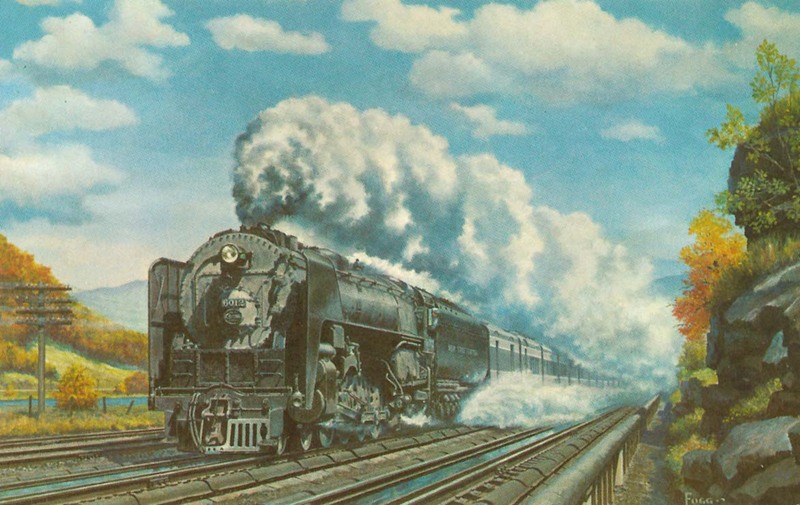 NYC's Fast Mail, the Lake Shore Limited and in 1902 the 20th Century Limited became the trains of prestige. The "Century" was praised as the number one among world's de-Luxe expresses. Of course it was an all-sleeper all-Pullman and once in 1929 it did run in 7 sections. For many years it was hauled by the K-2 and K-3 Pacifics. 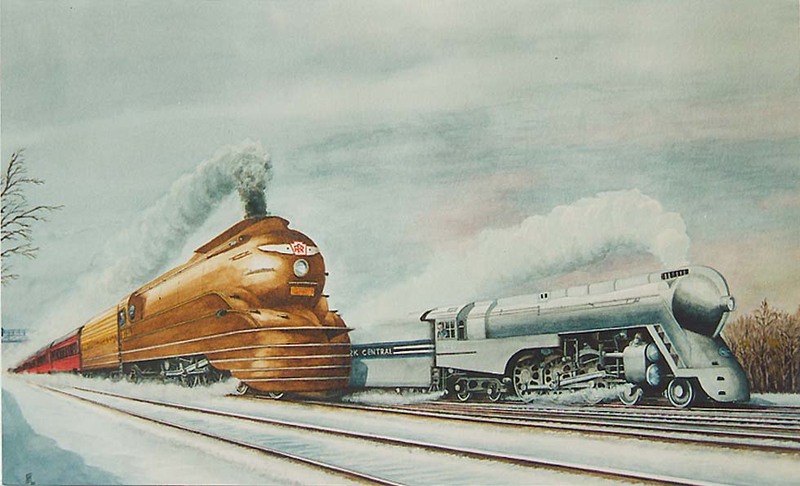 In 1938 the "Century" became even the most beautiful streamliner, styled by Henry Dreyfuss. Its elegant cars in decent gray colors harmonized with the J-3a Hudsons. Then it was dieselized, but some ones of its various sections still for a time were hauled by the legendary black Niagaras. 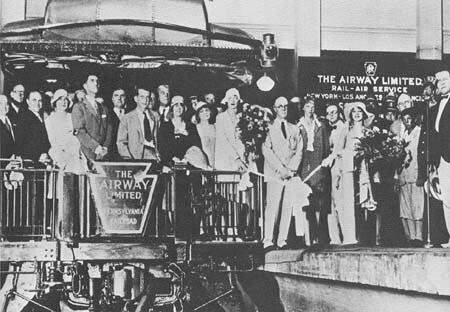 It was reported that on some station outside New York they did not fully stop, passengers and luggage were lifted aboard while the train was still slowly moving and then the Niagara continued thundering through the night. 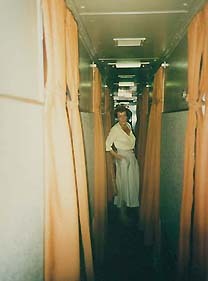 It was the time when the train had got new cars, introduced in 1948. 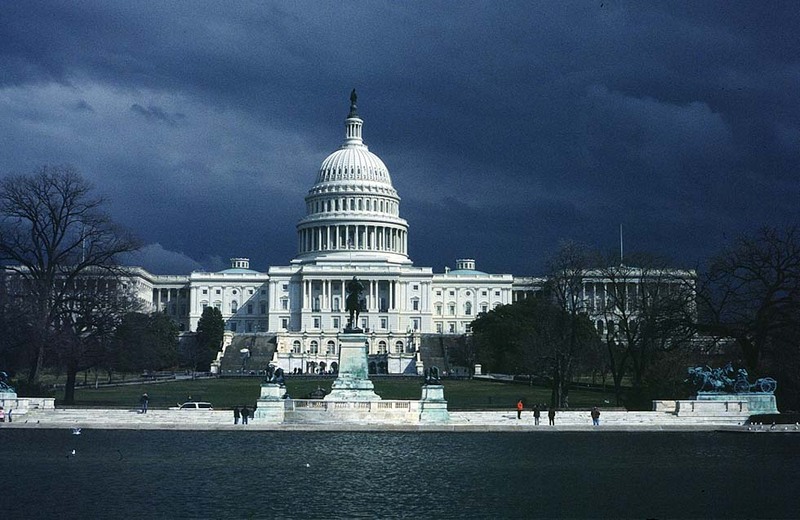 In 1967 the glorious "Century" disappeared. 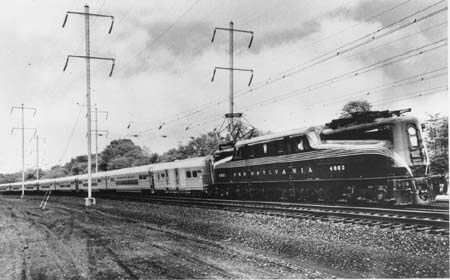 Amtrak continued on its route only the Lake Shore Limited, from 1996 equipped with the new Viewliner cars. And it started no longer at the New York Central, but at Penn Station. 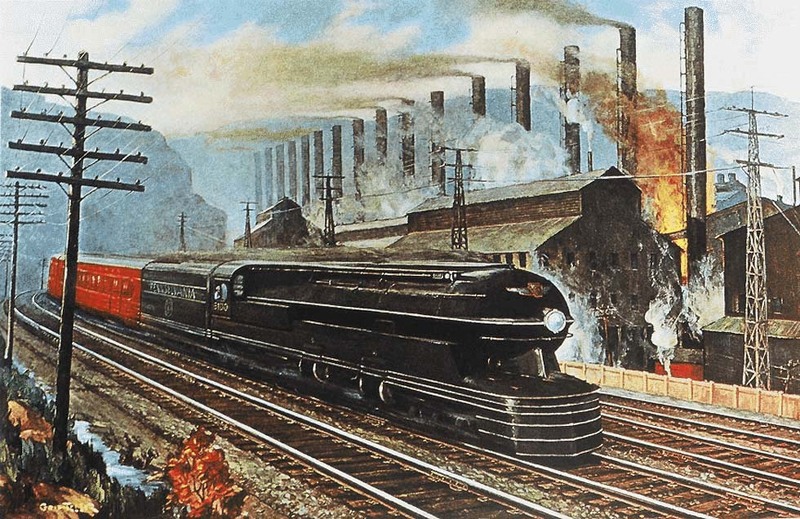 Colors: Brewster green, locomotives black. The Pennsylvania Limited of 1887 and the green/cream colored New Pennsylvania Limited were followed in 1902 by the all-Pullman Pennsylvania Special and in 1912 by the tuscan-red Broadway Limited - and the competition between "Pennsy" and New York Central got fiercer. 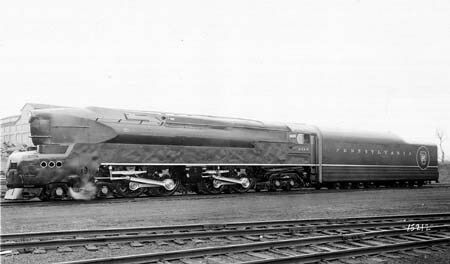 In 1938 the Broadway became a red streamliner, styled by Raymond Loewy, hauled by the traditional K4 Pacifics and for a short time even by the black "Big Engine" 6100, world's fastest steam locomotive. 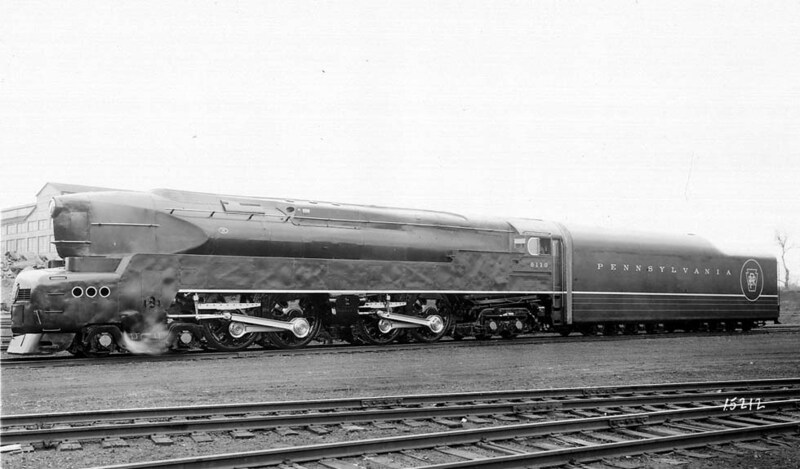 On the electrified section, Loewy-styled GG1 took over. Whilst its competitor, the "Century", disappeared, Amtrak continued to run the Broadway for some time. Later however it lost the glorious name, became Three Rivers and then it was stopped. 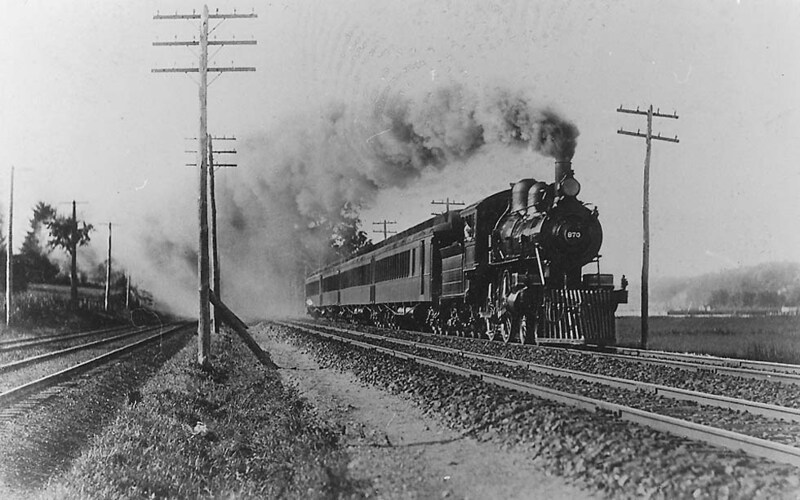 In 1927 the B&O introduced it’s crack train The Capitol Limited, an all-Pullman, on the Baltimore – Washington – Chicago run. 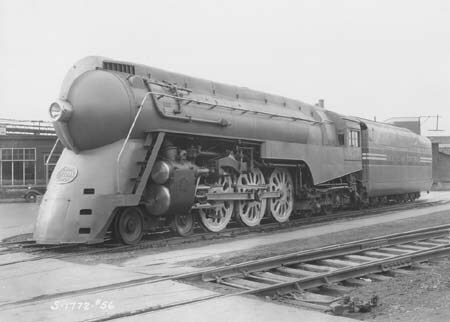 In 1937 it was dieselized with a pair of EA or EB engines. Until 1958 it included a sleeper New Jersey – Chicago. In 1963 the B&O was merged with the Chesapeake & Ohio, from 1973 forming the Chessie System. 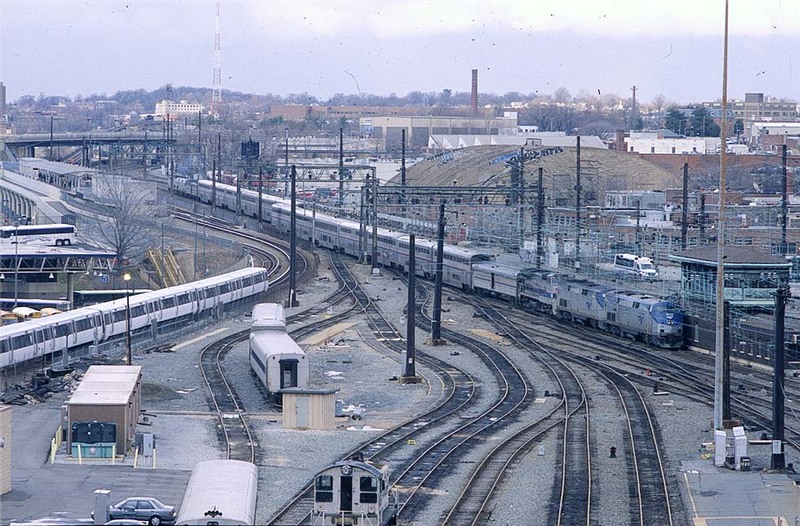 With Amtrak, the Capitol Limited survived after some changes on the Washington – Chicago route. 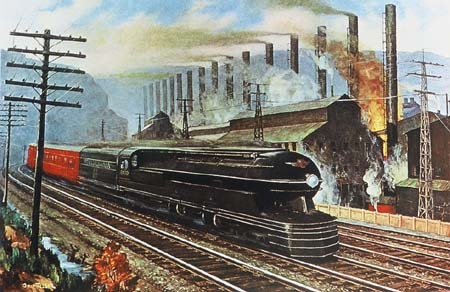 As it did not suffer the restrictions of the New York tunnels, it was equipped with the excellent Superliner cars.